PORT WILLIAMS, N.S. -- A ceremony to honour the last soldier who died before the guns fell silent during the First World War was held in Port Williams, N.S. Sunday. “George Price was the last combatant to be killed in the First World War, two minutes before armistice,” explained ceremony organizer and veteran, Wayne Blenkhorn. Born in Port Williams, Price is even the subject of an upcoming film portrayed by actor Craig Hyatt with director Ben Proudfoot. Now, his legacy ties the small village to the global conflict. Price’s nephew, George Barkhouse, a veteran himself, was present to represent his uncle. “It brought tears to my eyes again because it means an awful lot to me,” said Barkhouse. The ceremony paid special attention to the First World War and included soldiers guarding the monument in period clothing, and a variety of artifacts were on display. A choir also joined with songs from 100 years ago, to mark the 100th anniversary of the end of the war. “It feels great to come here and represent so the memory doesn’t die and I can take the torch and pass it on to somebody else,” said cadet Reshon Beals. Barkhouse hopes on Remembrance Day Canadians will take the time to honor his uncle and all veterans. 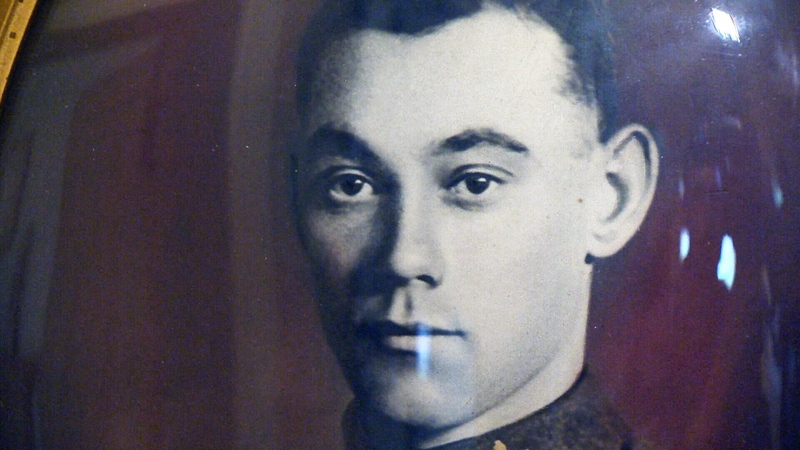 Private George Price was the last Canadian and Commonwealth soldier killed in the First World War, just two minutes before it officially ended.